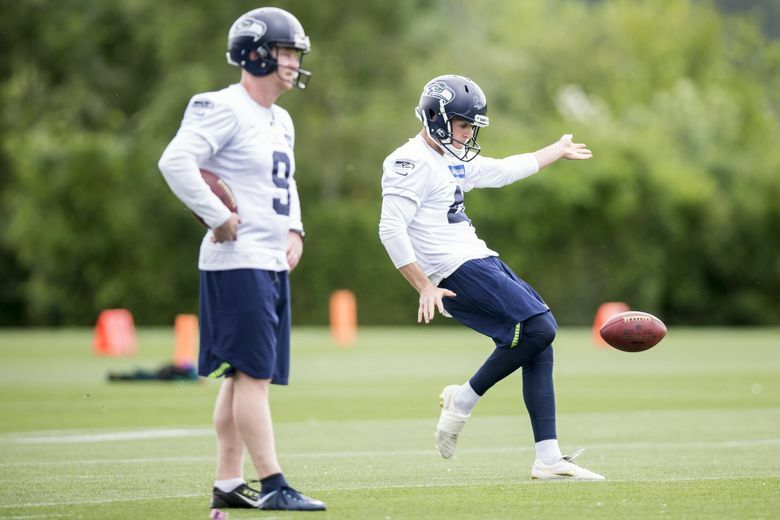 The Seahawks settled both their kicking competitions on Monday, cutting loose punter Jon Ryan and kicker Jason Myers in favor of Michael Dickson and Sebastian Janikowski. The Michael Dickson Era has officially started in Seattle. But first, head coach Pete Carroll saluted departed punter Jon Ryan, who was released on Monday after 10 seasons with the Seahawks. 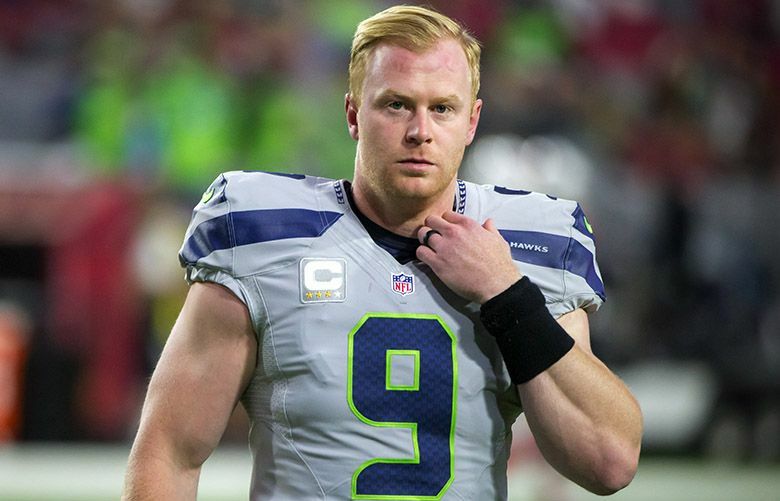 “First, let me say this: Jon Ryan has been a great Seahawk,” Carroll said on Tuesday. “I loved the time we spent together. He’s been here since the beginning, and I know everybody would understand that it’s a very difficult decision when you have to make one like this after all this time together. He was doing great. Michael was just kicking out of this world and was doing the things that we had hoped he could do. SEAHAWKS FILE — Seahawks punter Jon Ryan comes off the field after warmups before the Seattle Seahawks take on the Arizona Cardinals at University of Phoenix Stadium in Glendale, Arizona Sunday October 23, 2016. The 36-year-old Ryan signed with the Buffalo Bills on Tuesday. Meanwhile, Dickson — a 22-year-old rookie and 2018 fifth-round pick — will have to move on without his mentor. The Seahawks are excited as well, and with good reason. Through two exhibition games, the 6-foot-2, 208-pound Dickson leads the NFL in gross average (51.7) and net average (50.1). Pro Football Focus has awarded him the top preseason punting grade in the NFL. Beyond simple statistics, the Sydney, Australia, native’s Australian rules football background also provides unique versatility for the Seahawks. “Without having to split time (with Ryan), we’ll be able to utilize some stuff that he can do and do some more things that we’re excited about,” Carroll said. “He’s a very, very versatile kicker. “I think it’s good for him to feel the confidence in the program, that we’re behind him. He’s a really savvy competitor. Strong. He’s been doing a nice job in handling it. The Seahawks have seen plenty already out of 40-year-old lefty Sebastian Janikowski, enough to waive kicker Jason Myers (who has since been claimed by the Jets) as well on Monday. The simultaneous end to the team’s two kicking competitions comes as no coincidence, allowing time for Dickson to become more comfortable holding for Janikowski. That tandem was on display in last weekend’s preseason loss to the Chargers, when Janikowski connected on a 25-yard field goal out of Dickson’s hold. “It was good just to get that weight off your shoulders, to know that you can do it in a game,” Dickson said. Of course, he’ll have many more opportunities to do it in a game from here on out. And, unfortunately, Dickson’s rise yielded Ryan’s eventual departure. “It could have been a completely different scenario, but it’s just the person that he is and such a great sportsman,” Dickson said of his relationship with Ryan. “He just treated me right and we both respected each other and really were competing against ourselves.